This morning I woke up to a Blue-gray Tananger staring at me, face to face. I had opened the curtains of my room in the cloud forest lodge, and there he was. He jumped away towards the flowers and a Golden-hooded Tananger took his place. Two incredible sightings, all before I could stumble out of my room with my coffee. Costa Rica is about the size of West Virginia. But thanks to its extremely diverse landscapes and location at the crossroads between North and South America, it is heaven to bird-obsessed camera-wielding nature lovers like me. Nearly 900 species of bird have been recorded in Costa Rica. That is more than in all of North America combined, and the greatest density of bird species in any country in the Americas. Why? Rich geologic diversity gets due credit. On the Pacific coast lies great mangrove swamps. On the Caribbean coast spread vast coastal plains. Between them are the mountain chains and deep valleys that run the length of the country’s spine. This diversity not only gives birds many habitats to exploit but it also allows endemic species to flourish. 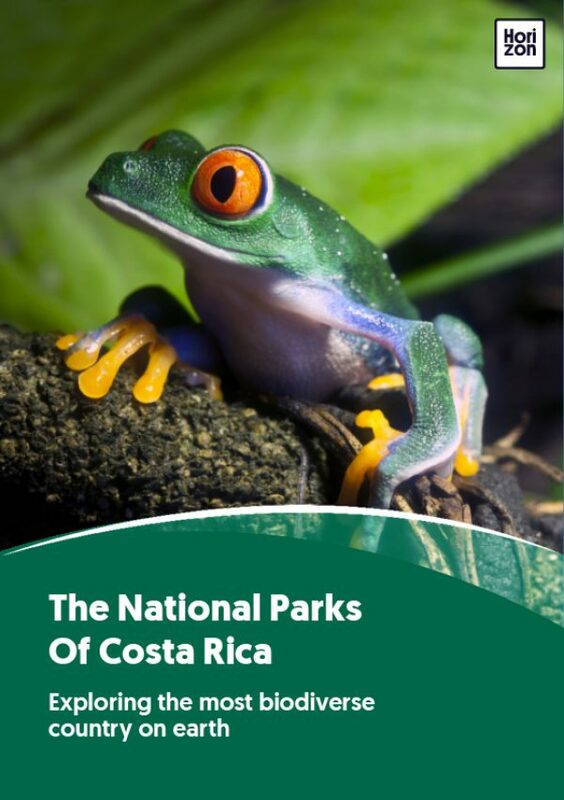 Costa Rica’s Talamanca Range alone hosts more than thirty species not found anywhere else in the world. So out of 900 species how does one choose which to capture with your camera? Each birder forms their own lists, but mine (and many others) starts with the rare resplendent quetzal. This species of trogon has to be one of the most beautiful birds on the planet. Also highly coveted are the snowcap hummingbird, the scarlet macaw, ornate hawk eagle, great curassow, collared redstart, broad-billed motmot, violet sabrewing, fiery-billed aracari and the green violetear. Us wildlife aficionados more often than not hope to bring home a collection of gorgeous images that speak to our experiences. Here are some simple tips to help you reach that goal. It may seem obvious but if you’re not out there, you’re not going to get the image you want. The photographer needs to be both physically on the ground as well as mentally and emotionally in the moment. Go deep. Tune in to the environment and feel the power of nature all around you. Patience is your best friend. Nature is unpredictable and more often than not you will have to wait for the picture you want. Many photographers come back day after day to get what they want. For long sessions, dress appropriately and bring food and water. Make sure you’re comfortable so that you’re that much more likely to stick around and be there for the shot. It always helps to know what you’re photographing. To capture that special image you need to know where you’re going to find the bird or animal. What kind of habitat do they like and when? When are they breeding and nesting? What are they eating? You want to be able to predict your subject’s behavior so that you can both find your subject and be ready. When you think of the composition of your photo, consider the habitat. I like to find a way to integrate the habitat into my photo to help you tell the story of my subject. All too often I’ve heard budding wildlife photographers bemoan their lack of the biggest, longest lens available. Sure, it is true that a 600mm or greater lens will help you get certain incredible shots, but more often than not that leads to what is called the “zoo effect” where the animal is isolated from its habitat. Step it back a bit. Bring your subject to life by showing it in its natural habitat. Remember that photography is all about chasing light. The so-called “golden hour” is that short window, in Costa Rica around 30 minutes, before and after sunrise and sunset when the rays of sunlight are slanted. You’ll get more interesting reds and yellows that add richness to your picture. Wildlife tends to be on the move around this time and may be more visible. Be flexible here too. If the light is coming from the wrong direction, try moving around. Or see how you can re-compose your shot to find a better situation. Take a lot of shots. Animals move fast and you might miss some action if you’re being too conservative in the number of pictures you take. With the amount of images that can be stored on a single SD card these days, you shouldn’t hesitate to press that button and capture hundreds of images each session. Also, keep in mind that that very moment you’re trying to capture isn’t going to last long. You’ve got just seconds in most cases to get the right shot before everything changes. You need to know your camera and lenses and you need to know how to make quick adjustments. What is the minimum shutter speed that will give you a sharp image? What about your aperture? Play with your equipment as much as possible before you get out in the field so that you’re ready to capture that instant when all the action happens. I’m an anti-rule sort of photographer, but knowing the basic composition rules will make your photography that much more effective. Learn about both the “Rule of Thirds” and the “Golden Ratio” and practice them. Get these guidelines into your subconscious so that you’re ready for the shot. But also, consider ahead of time what kind of shot you want. Do you want the animal in its larger habitat as I suggested above? Or do you want a tight-in close-up where you fill the frame? It’s good to think ahead. All the great big animals are really cool. No doubt. But nature is also very small and some of the very best wildlife photographers focus in on the little things that likewise make up the fabric of nature. Last but not least, let’s talk ethics. These are wild animals you’re photographing. Getting your image should not impact that animal’s well-being, its right to survival, or the survival of the habitat on which it depends. I personally frown on using captive animals for photography. Feeding or baiting wildlife is also considered an unethical practice and in some cases it could land you in jail or on the receiving end of a stiff fine. Your goal as a wildlife photographer should be to capture the best image possible of wild animals living their lives as they are entitled and without harming them in any way.